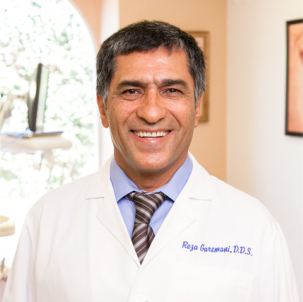 Dr. Garemani is a Board Certified Orthodontist with more than 25 years of experience. He graduated with a DMD degree from National University in 1974, and completed his specialty course in Orthodontics from Farleigh Dickinson University of New Jersey in 1979. He then obtained his DDS degree from USC in 1987. He is currently a member of the American Dental Association, American Board of Orthodontics, American Association of Functional Orthodontics, American Association of Orthodontics, and the College of Diplomates of the American Board of Orthodontics. Dr. Garemani is known for his gentle character and kindness. He has created many beautiful smiles and enjoys seeing his patients happy. Dr. Garemani is excellent in encouraging patients as well as their family members to become actively involved since their initial consultation and is very committed to their satisfaction. He strives to achieve the highest level of excellence so that patients can enjoy their healthy, pleasing smile. Dr. Garemani spends his free time with his family, and is known for being a very talented potter.